Tony Donné, EUROfusion Programme Manager, takes over as the EIROforum Chair. Starting 2nd July 2018, EUROfusion takes over the chairmanship of EIROforum from the European Molecular Biology Laboratory (EMBL). EIROforum is the unified platform for eight European organisations that form the backbone of fundamental science research in Europe: CERN, EMBL, ESA, ESO, ESRF, European XFEL, EUROfusion and the Institut Laue-Langevin. EIROforum operates on a rotational Presidency starting on 1 July each year. In the period of July 2018 to June 2019, the EIROforum Chair is Tony Donné, Programme Manager of EUROfusion. Each EIROforum member brings onto the table their extensive expertise in the areas of basic research and management of what can be considered “Big Science.” EIROforum fosters the combining of resources, facilities and expertise of its member organisations to support European science in reaching its full potential. 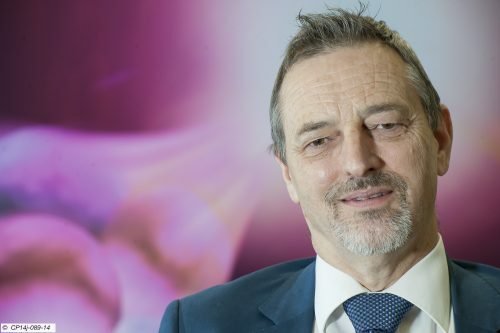 Under the EUROfusion chairmanship, EUROfusion Programme Manager Tony Donné wants to continue to focus on the EIROforum activities that have maximum benefit for all EIROforum members. “One of our main objectives is to continue the excellent initiatives that have been started under the present and previous chairmanships. In particular we aim to follow up the Work Plan for the Implementation of the Statement of Intent between the European Commission and the EIROforum organisations,” he says. Duarte Borba Senior Advisor for EUROfusion has been involved with EIROforum activities from its very beginning and his thoughts reflect that of Tony’s. “EIROforum has not only developed a stronger relationship among its members leading to very fruitful interaction at the working level through its Thematic Working Groups and at the science policy level but also developed key relationships with stakeholders and decision makers, ” he says. “By joining forces, the experience and views of the EIROforum members can contribute with greater impact to the discussion on future directions of Science in Europe,” he adds. Science in School a magazine published and funded by EIROforum. “To my knowledge, it is only magazine with first-hand information on science shaped by and targeted for teachers,” says Petra Nieckchen, Head of EUROfusion’s Communications Office, member of the editorial board & Steering Committee for Science In School.